With the internet as our prime means to promote business and capture a wider market base, using social media to influence the audience is the quickest and the most holistic way to expand business presence. Today, more and more businesses are considering it as a big deal and customers also expect to be able to connect with various brands that they are interested in. Those who can do well in social media can enjoy the benefits of it. 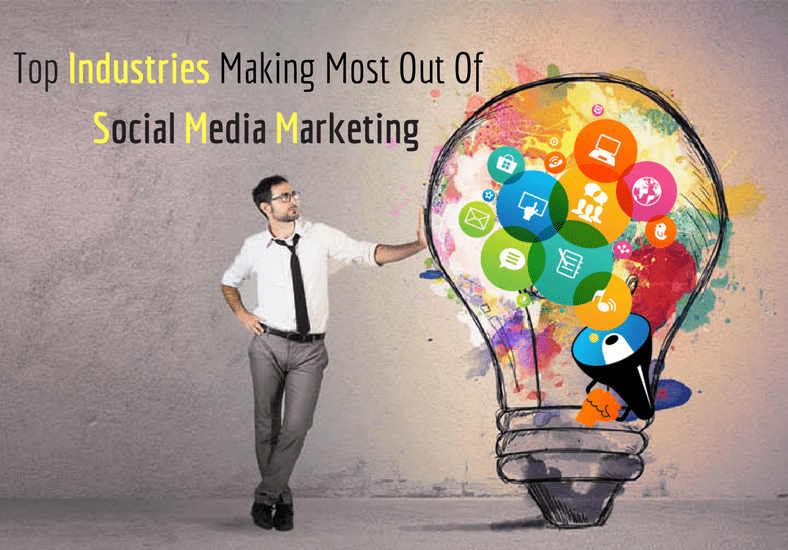 But, there are few industries that seem to take the advantage of social media better than other industries. For some, it is simply a natural outgrowth of an established marketing strategy and some others has done a great job by harnessing the power of social media. Social media has changed the entire landscape of the travel industry and it has helped people to travel in different parts of the world and enjoy diversity. The main component of the lifestyle and the travel industry is user generated content. Travel based companies are utilizing social media to influence their followers with photos of different locations and also help them see like-minded people experiencing products in a very natural and non-promotional way. This specific sector will have a high demand for digital marketing professionals as this type of marketing is highly effective than typical brand marketing. It has become an integral part of entertainment companies to share varied information from photos, live videos, trailers, behind the scenes and much more. When major award shows pop up or any popular episodes are aired, you can always expect social tweets and comments on social networks. Users love to discuss endearing moment, surprising awards, fashion while watching TV and remaining connected with other fans through the other second screen. The entertainment industry has huge prospects for social media experts who can help to reap the rewards. Today, entrepreneurs or working professionals can take advantage of it and avail great job opportunities. People often think that the relationship between customers and health professionals is usually developed face to face and fitness is something that cannot be taught in words or sentences. But luckily, highly visual platforms have made digitally conveying knowledge possible and social media professionals and enthusiasts have created their online presence in such a way that they can be in anyone’s pocket and act as a personal trainer, health coach or nutritionist. Using social media for this industry do present some challenges, but when implemented carefully, it has come up with amazing results. Another sector, where social media plays an active role in the real estate industry. From brokers to agents and property managers, everyone wants to use social media as it helps to bring the properties to a huge audience base. This has proved to be more lucrative than any other traditional means of marketing. Creating highly targeted advertisements on Facebook and asking the followers to share the property details on their profiles helps in free advertisement. So, if you are in this business, then learning to improve the social media presence will definitely help. It is really very hard to call education an industry, but you simply cannot ignore the power of social media in various education settings. Students and teachers can easily communicate through it and learning has become more engaging, exciting and easy. From teachers, administrators to any other learning professionals, everyone understands the value of going social as it helps them to share information online and collaborate effectively that they could never do before. Social media is all about information content and creativity. There is no wonder that it is a perfect marketing technique for the beauty and fashion industry. People who are in this industry can use it for day to day communication and fans can simply follow the styles that constantly evolve and change. Today, top brands are able to easily connect with their target markets and gather feedbacks in real time. Professionals have helped latest fashion to reach every corner of the country and have helped to increase interaction and build a sense of customer loyalty. Social media are great playgrounds for recruiters. Most often job seekers turn to Facebook, Twitter, LinkedIn to get their perfect job and recruiters also keep following on social platforms. Since these platforms are great for highlighting new job posts and locating candidates, recruiters and hiring managers often use the network to screen candidates, thereby making it a valuable tool for the industry. In a nutshell, it can be said that social media marketing is highly effective for some specific industries than others, but all industry verticals can take the advantage of it if they approach it with the right goal and strategy. And for this proper training in social media marketing is the first step towards success. Stay updated and tuned with the latest trends in Digital Marketing, PPC, SEO, SMO and Analytics. Joining the best digital marketing training institute will open up great career opportunities and contribute to having a stable and lucrative job. Enquire Now! Call us today on +91 120 4260552/ 9870486335 or email us at [email protected] and get your queries and doubts cleared!